Happy First Day of June! As seems to be typical in Seattle, the first day of the month greeted us with rain and in my book that calls for a simple weeknight soup. A note about dried spices: the longer you keep them in your cupboard, the less potent they become. I always buy whole spices and when I need them, I grind them in a repurposed coffee grinder. This ensures the spices will have more flavor. If you insist on using that old bottle of cardamom from the back of the pantry, you may find that you need to add a bit extra to this recipe. In this recipe I dry roast the cauliflower before adding it to the soup. This caramelizes it a bit first, giving it a lovely rich flavor. Preheat the oven to 400*. Place chopped cauliflower on a baking sheet and sprinkle with a bit of salt. Place it in the oven and cook until edges of cauliflower are lightly browned, about 15 minutes. Meanwhile in a medium pot, heat the olive oil over medium-low heat and add the onions. Sweat the onions until they become translucent. Add the garlic, cardamom, and lavender and stir until they become aromatic. Add the cauliflower and chicken/veg stock. Bring everything to a simmer and cook for 10 minutes. Use an immersion blender to puree the soup (or blend in a traditional blender in several batches according to the blender’s hot liquid capacity). Once the soup is blended, stir in the lime juice and season with salt to your tastes. Serve with a dollop of sour cream and a sprig of cilantro or parsley. 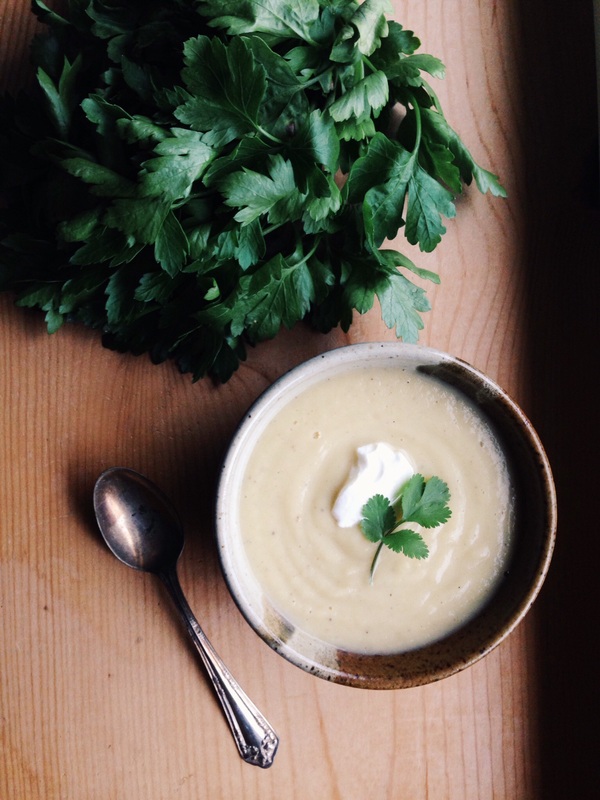 Modifications: This soup would also work well if you replaced the cauliflower with celery root or parsnips. Have fun! 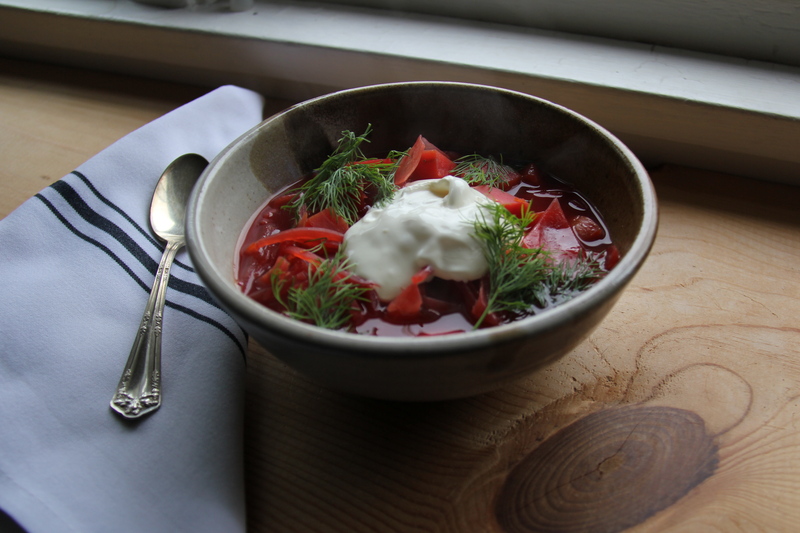 Borscht is a hearty Eastern European soup that can be served hot or cold, though in this weather I’d recommend serving it warm. 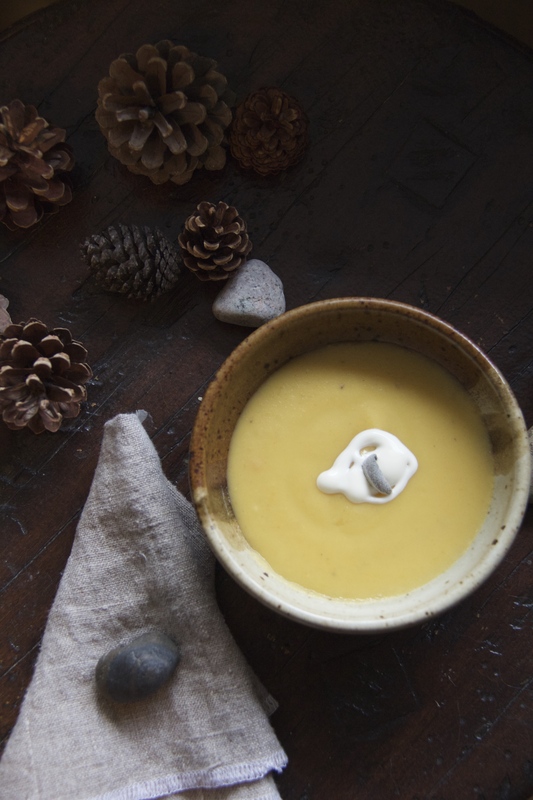 It is an extremely versatile soup whose ingredients can be easily adapted to what’s in season (I’ve enjoyed it with golden beets and corn, for example!). Regardless, it is very nourishing and warming on a chilly autumn night. I’ve noted a few possible changes in the ingredient list below. 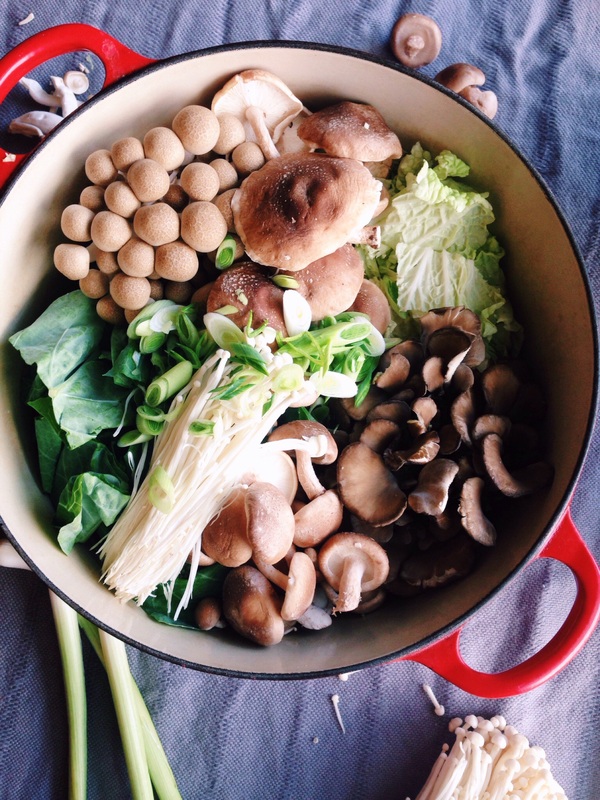 Cabbage is a common ingredient in borscht, but the kale in week 3’s CSA box is a simple substitution. It is traditional to enjoy borscht with slices of dark rye bread. 1. Heat butter or oil in a large soup pot or Dutch oven. Add onions and cook over medium low heat until they start to soften. Add garlic and beets and continue cooking until beets are tender. 2. Add remaining veggies (cabbage, carrots, parsnips, and potato) to the pot and stir to mix all ingredients together. 3. Add broth, bay leaf, juniper, and lemon juice. 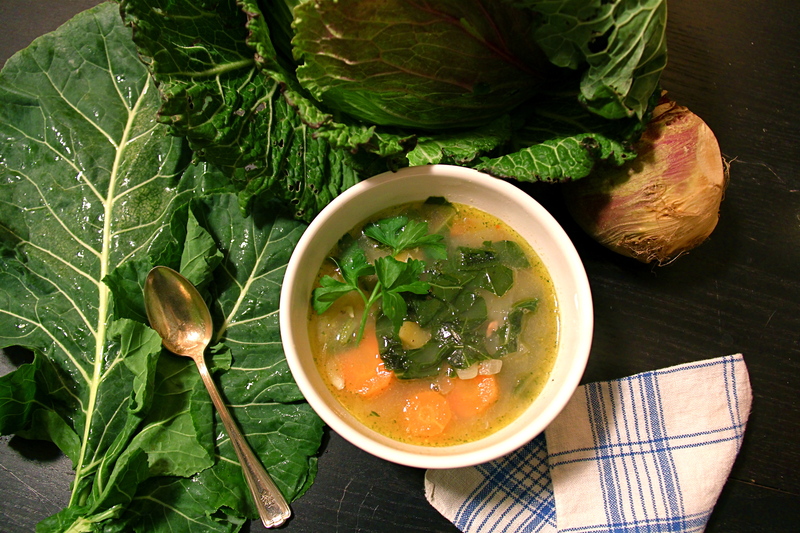 Bring soup to a low simmer and continue to cook for 20-30 minutes- until potatoes are cooked through. 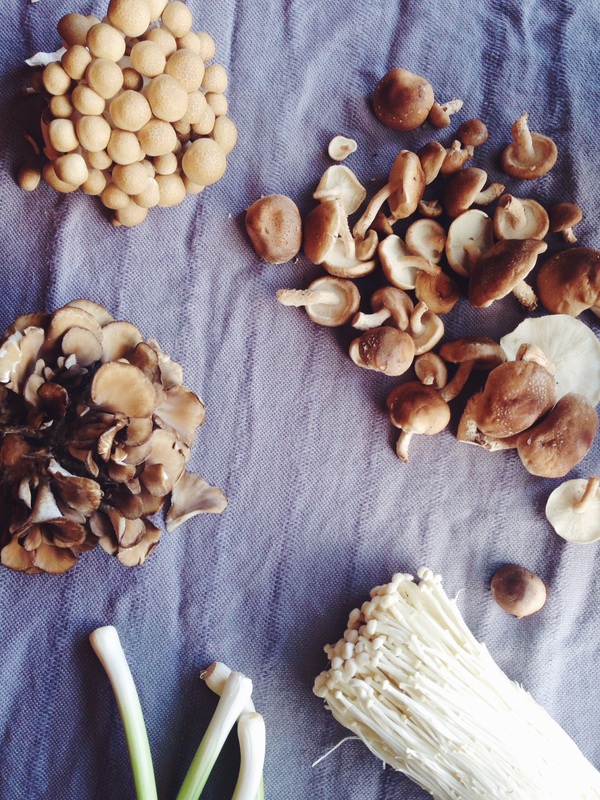 Taste occasionally and season with salt and pepper to your liking. 4. 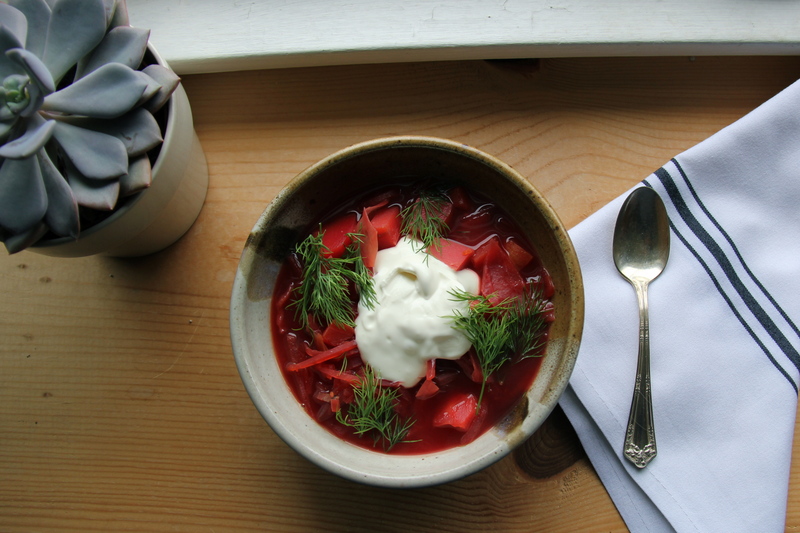 To serve, dish into bowls and top with sour cream, cracked pepper, and fresh dill.